After a tumultuous start to the offseason, second-year basketball head coach Kevin Stallings got a much-needed reprieve this weekend as two highly-touted recruits committed to the program. Even though Stallings and his staff are still putting together their 2017 class, the program got its first commitment in the class of 2018 Friday in forward Bryce Golden. A Maryland native, Golden is rated a four-star recruit by 247Sports and the No. 78 player in the country. He is the Panthers’ highest-rated recruit since 2013 when Michael Young committed. “I firmly believe in what Coach Stallings is building and I’m excited to be a part of it,” Golden said, announcing his decision on Twitter. Golden’s high school team — St. James School in Hagerstown, Maryland — struggled this past season, stumbling to a 12-14 record and going 6-6 in their league. But Golden was one of the group’s stars, and even though he won’t be here next year, he has the opportunity to be a huge part of the program’s future along with St. John’s transfer Malik Ellison, who is ineligible to play this fall. Later in the weekend, Stallings received another commitment — this time for the 2017 class — from 6-foot-5 shooting guard Parker Stewart. The Tennessee product played this past season for Union City High School, going 16-12 overall while posting a 12-4 district record. 247Sports ranks Stewart as a three-star prospect and the No. 3 player in the state of Tennessee. He was previously committed to Ole Miss and signed his letter of intent to play with the Rebels Nov. 9. But in late May, he asked to be released and reopened his recruitment at the start of June. He chose the Panthers over Iowa State and Georgetown Universities, among others. “Excited to announce I will be joining the Pittsburgh Panther family, play for Coach Stallings, and compete in the best conference, the ACC,” Stewart said in a tweet announcing his commitment. 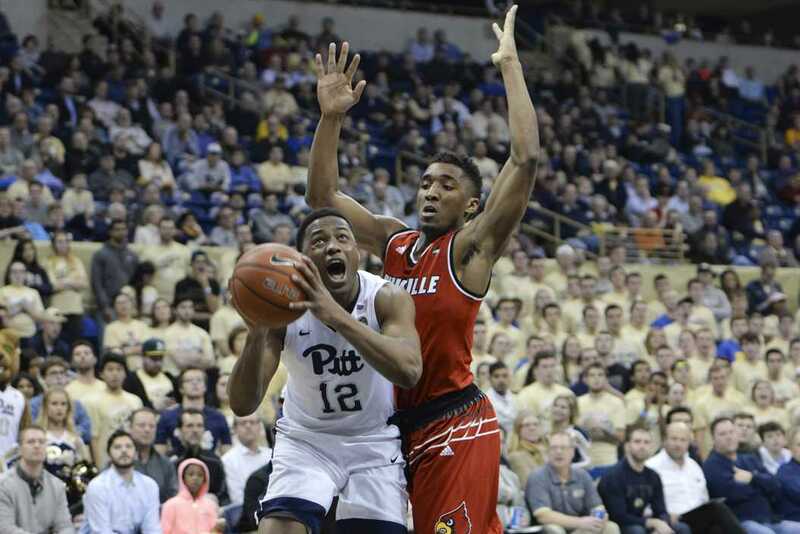 Stewart is the ninth player in the Panthers’ 2017 class as Kevin Stallings continues to rebuild the roster after the graduation of four starters in addition to five transfers. Not counting former walk-on Zach Smith, only two scholarship players — seniors Ryan Luther and Jonathan Milligan — from last year’s team will play this season. Chris Jones — one of the four graduates — will also return as a graduate manager. All six of the 2017 recruits listed on 247Sports — including Stewart — are rated as three-star recruits. Florida point guard Marcus Carr — rated the No. 147 player in the country — highlights the group and will most likely be the centerpiece of the Panthers offense this fall. There are currently two spots remaining in the 2017 class, and Stallings will work until the recruiting dead period, which starts July 6, to fill in the group.